522 people in our community are currently praying with you. 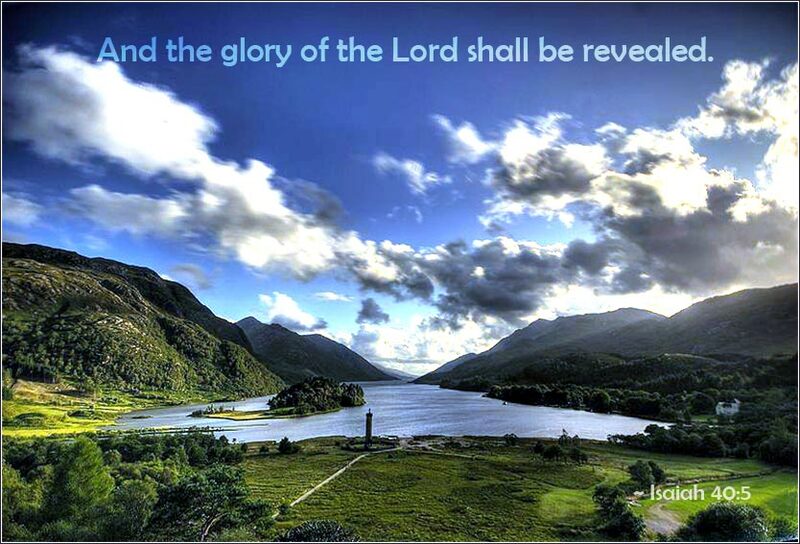 The prophecy Jesus quotes is from Psalm 118. When it was written, the cornerstone represented King David; the building erected upon it was the Temple or, in a broader sense, Israel. So the Pharisees believe that this psalm supports their authority. But Christ is the new King, and Israel's role has been superseded by his coming. The Pharisees are, ironically, looking upon the real cornerstone of God's plan for salvation, Jesus of Nazareth, whom they have every intention of trying to destroy. The sentence beginning, “And the one who falls on this stone will be broken to pieces,” is of doubtful origin and does not appear in the early, more authoritative manuscripts of Matthew. We can read it to mean that those who fall on the stone — those who will be responsible for the crucifixion — will be broken, and that those upon whom the stone falls — those whom Christ judges at the second coming — will be destroyed. But it is an awkward addition to the parable. Christ's primary point is to tell the Pharisees that they have lost their leadership and no longer represent God's covenant with mankind. “By their fruits, you shall know them,” and the fruits of the Pharisees have been hypocrisy and a failed attempt to find righteousness before God by works. And it is in rejecting, judging and executing Christ that their hypocrisy becomes starkly illuminated. They have become so corrupt that they really do not serve God at all; they serve the system because it lets them ride the biggest elephant in the parade. They are victims of their pride. 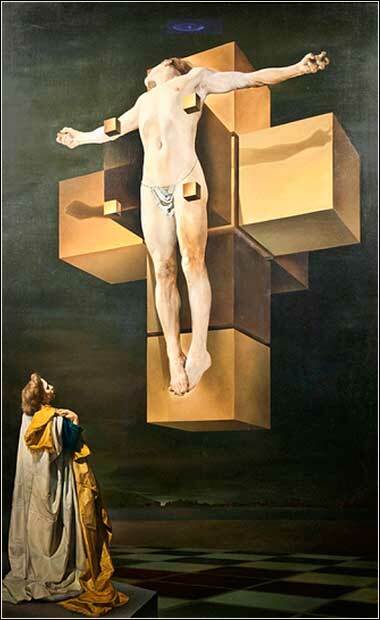 Crucifixion (Corpus Hypercubus) by Salvador Dali, ca. 1954. Dali, a surprisingly spiritual man, abandoned surrealism late in his career. He had become fascinated with nuclear physics and here depicts Christ, without nails or wounds, suspended and crucified before a nuclear-age cross.